If you know me, I’m an avid lover of natural skincare products. Growing up with eczema, dry, and sensitive skin, I’ve always been very careful with the creams that I use, because one small step could lead to my skin itching up, turning red, or even swelling! But as I got older, I realised that natural products could be more beneficial for my skin and I began to try them out. Once I started, I was hooked! One of my tries was Dr Roebuck’s PURE Face Moisturiser which is a day and night face cream. Dr. Roebuck’s products are made in Australia with minimal ingredients for maximum results. PURE claims to be an ultra-hydrating, hypoallergenic cream packed with essential, naturally derived ingredients to hydrate and soothe sensitive skin. The formula combats flaky, eczema-prone skin as well as nourish and soften the complexion. And this wonder-products is only formulated with 7 ingredients, two of which are natural preservatives. In addition to that, their packaging is made up of 100% recyclable material, and it’s also cruelty-free. It’s a win-win! The main reason why I love this product? It’s all natural. No parabens, sulfates, and phthalates. It’s BPA-free, and formulated without fillers, petrochemicals, TEA, DEA, PEGs, glycols, synthetic fragrances or colorants. Simply put, all the nasty stuffs that are bad for your skin are not in it. I usually use this product when I’m travelling as those are the times where my skin feels particularly dull and dry. The hygroscopic cream glides on smoothly and is fast-absorbing. It doesn’t leave a greasy layer on your skin unlike some moisturisers – in fact I find that it practically melds into my skin. It is really moisturising and has a really thick consistency, so a little goes a long way. 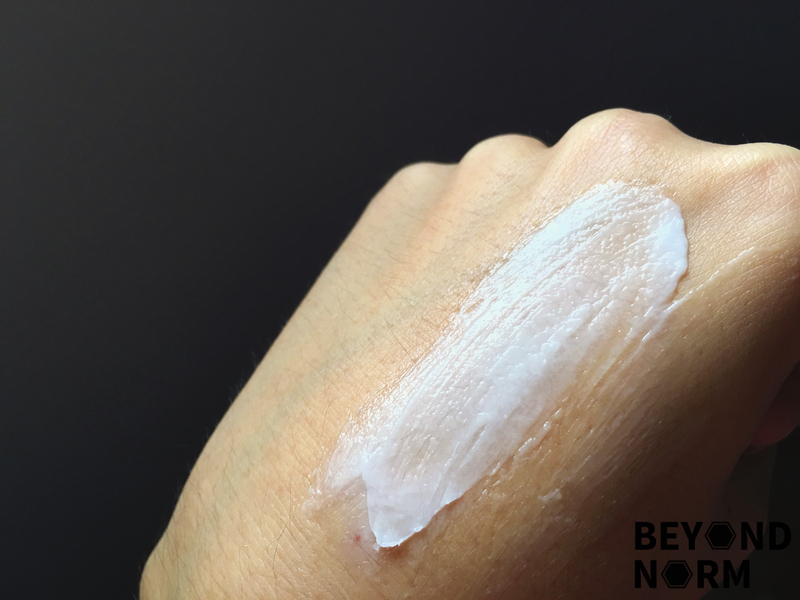 The cream works so well that sometimes I use it on other problem parts of my skin (like my arms and hands). I’ve been using this for almost 3 months now, and it always leaves my skin feeling soft and supple. To me, the only downside is that it comes in a tub, but if you have a little spatula, its just a small issue. The product may be on the pricier side, but it’s worth every cent! I will definitely repurchase. So if you’re someone with eczema or sensitive skin or you’re just having a hard time finding a good match for your skin, you might want to try this one out!